Patient Testimonials - Wendy Epstein, M.D., F.A.A.D. Dr. Epstein is Extraordinary! She listens closely asks meaningful questions and provides invaluable feedback. The atmosphere of Bella Tu Med Spa is warm and professional; the staff is incredibly hospitable and solicitous. I can’t rate Dr. Epstein, her assistant AnnaMarie and the entire facility highly enough. A singularly wonderful experience from start to finish. Everyone there is great! I’ve been going for years. I’ve gone to Margaret for facials and injections, she is very comforting. I’ve gone to Dr Epstein for Voluma and was very happy with results. I recommend going to Bella Tu for a great pick me up!!! The customer service at Bella Tu Spa is always outstanding. 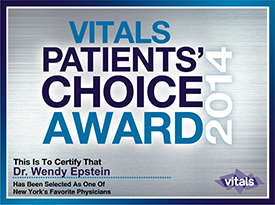 Dr. Wendy Epstein is an excellent clinician. Dr. Epstein and AnneMarie are always honest with the care they suggest. I feel very comfortable and welcomed at the Bella Tu med Spa. I was very pleased with Dr Epstein and her staff. She is very kind and gentle. Dr. Wendy Epstein is amazing! This was my first experience with Botox and Juvederm filler and I am so pleased with the treatment I received as well as the incredible results. Dr. Epstein is an expert who provides the most skilled and attentive patient care. Annamarie DeRosa provided excellent assistance and was so importantly involved in my procedures in such a beneficial way. Thanks so much Dr. Epstein and Annamarie!! I am very happy to recommend a friend or colleague for any one of the Med Spa’s services. At my first appointment, I received a very warm welcome from the staff, which immediately put me at ease. Dr. Epstein patiently explained my procedure to me, encouraging me to ask questions along the way. I felt informed and confident as Dr. Epstein and her assistant Mary Ann literally held my hand throughout the procedure and made sure to tell me what discomfort, if any, was to be expected. I’ve been to other Med Spas in the county, but Dr. Epstein and Bella Tu are superlative. Already have my next appt booked! Dr. Epstein and her assistant Anna Marie are off-the-chart- amazing!!! They work beautifully together and the creativity, precision, perfection, bed-side manner and talent are second to none. I am so happy with the way that they present their suggestions, where I felt like I had a part in decision-making. I cannot tell you how happy I am with the outcome. I am going on 58 y.o. and I couldn’t feel better. I look natural, nothing is overdone, yet they lifted, softened and refined my bone structure with dermal fillers (Voluma and Juvederm). I will recommend Dr. Epstein to everyone I know. Now I know what everyone was talking about — they are phenominal. Thank you so much Dr. E! loved dr. epstein! love my results! she is honest about what you need and what you don’t need. they put no pressure on you do do anything but once you decide they really take their time and are so methodical! definitely recommend! For the last 5 years or so, every morning when I walked into the bathroom and saw my image I felt like I was looking at a stranger, someone much older than I was sure I am! Now, with a very important occasion coming up, I decided to try and do something about it. I am very pleased with the results. Dr. Epstein used fillers, expertly placed, and achieved a wonderful result. As I told her, now when I get that first glimpse in the mirror each day, I feel like “she’s back!” I see what I still expect to see without that feeling of shock or “who is that older woman?” She gave me back the belief that I look like I feel! I am ready for the photographer!! Equally important, she is absolutely lovely to work with. She was very conservative and actually talked me out of doing more! She called me the night of and the next evening to see how I was doing and really cared if I was happy. Gave me her cell phone number in case I had any questions or concerns! Who with MD after their name does that!!! 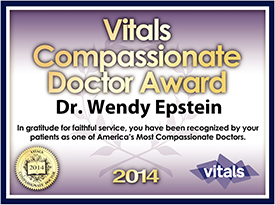 Dr. Epstein exudes proficiency while tempering her obvious expertise with compassion and encouragement! I saw her for a cosmetic appointment and, unlike other practitioners, she was honest, conservative and, once completed- SPOT ON with her execution of my treatment. I would very strongly recommend her to my own patients, friends and family without reservation! This was my second experience with Dr Epstein..She is very knowledgeable about injections and making someone look natural without having surgery. She discusses what she thinks you should do then let you decide how little or how much you want to do with NO pressure. Over the weekend..Dr.Epstein called herself to follow up on our visit. It doesn’t get better than that..She shows such excitement when her work is done and she has accomplished a great result. Dr Epstein is a caring professional who spends the time to listen carefully. She is both thorough & compassionate in her treatments. 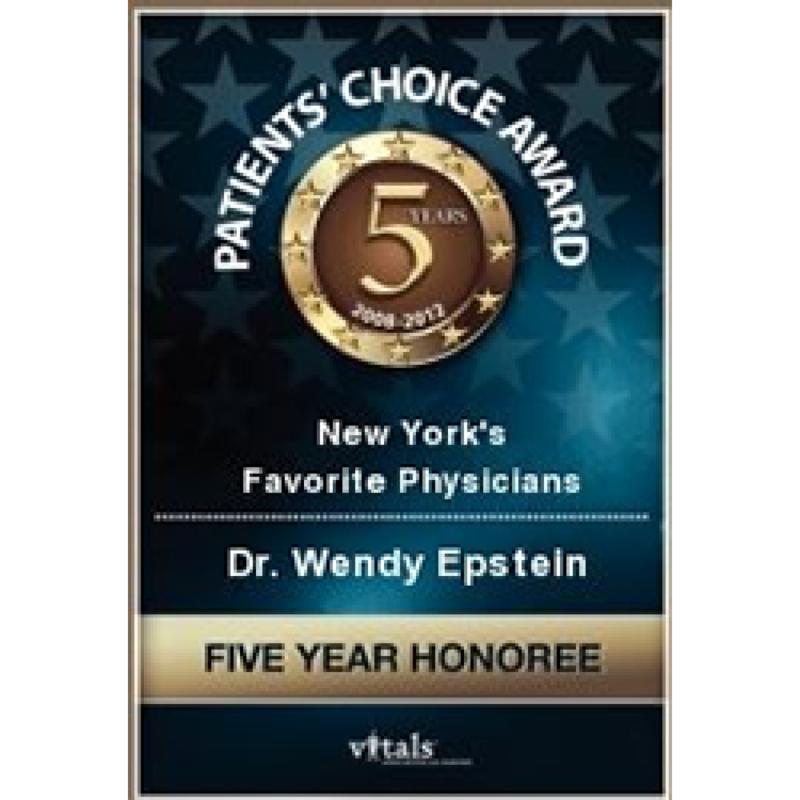 Dr Wendy is kind, compassionate caring, and best of all has a great sense of humor, which truly makes her a star in my book.. a gem of a doctor,in Rockland County NY.. can’t be better than that !!!!!! I can’t begin to tell you how much I love Dr. Epstein. She’s an artist in her work. She did a lower lip enhancement for me which came out so beautiful, I can’t stop looking at myself in the mirror!!! LOL. She’s a down to earth person with whom I feel extremely at ease with. I’ll be back Dr. Epstein – I’ll be back!!! I have been seeing Dr. Epstein for the past six months and I am dazzled by her talent and utmost care; I am especially thrilled by her skill and expertise with cosmetic injectables. Her work has made an amazing difference in my appearance. She is caring and careful and extremely gifted. I have received a number of solutions including Scultpra, and I am beyond pleased with the results. Her entire staff is wonderful and they work together as a cohesive and talented team. I wouldn’t ever consider going anywhere else. Dr. Epstein is an artist. I have been going to her for fillers for a few years and I am never disappointed with the outcome. Initially my face was thin with wrinkles and now it is full. She used Voluma and Juvaderm to fill out my cheeks, lips and various other parts of my face. She is caring and conservative and not pushy. She is careful and won’t do anything that makes her uncomfortable. She is the only doctor that I trust with my face. Thank you Dr. Epstein for making me look years younger. I have had an extremely positive experience with Dr. Epstein. 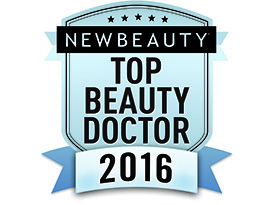 She has tremendous expertise in the area of cosmetic fillers and recommended the most cost effective and regenerative products. She worked with intricate care on my face taking lots of time and I must say that I feel transformed. I feel fortunate to have found such a consummate professional. She is clearly and outstanding physician!! I have been a patient of Dr. Epstein for a few years now and have always been extremely satisfied with her skill and professionalism. Dr. Epstein is not only brilliant at what she does, but she is a sincere professional. Dr. Epstein has consistently achieved results beyond my expectations and has done so in the most cost effective way possible.I don’t normally rate doctors, but feel the need to in this case. She truly is a gem! I went to Dr. Epstein for fillers. She did a wonderful job. She takes time to discuss the look you want . The appointment is not rushed– she is very careful to place the fillers in the best spots. I had very little bruising, which went away in two days & am very happy with the results! I cannot recommend Dr. Epstein highly enough! I have had multiple acne scars my entire adult life, and had previously tried dermabrasions, micro-dermabrasions, Fraxel laser, and chemical peels, all of which affected the small scars but not the larger scars. Additionally, since I am now in my late 50’s I had some concerns about signs of aging: thinning lips, gaunt cheeks, frown lines, marionette lines. After several treatments with a combination of fillers and Botox, I look in the mirror and see a face that is remarkably smooth and scar-free, in addition to looking much, much younger! I do not look “fake” or “done”, which was one of my concerns, I just look like a natural, younger, smoother me. Dr. Epstein took a long time on the initial consultation, carefully explaining all of the options available. She never once appeared rushed , was upfront about the costs, and never tried to upsell me for products or procedures. She even suggested I do it in stages to see the results and to help out with my budget! During the procedures she explained everything she was doing as it went along. She actually called me on my cell phone to make sure I wasn’t freaked out by how I temporarily looked (swelling and minor bruising) over the weekend,as well as gave me her cell phone number in case I had any problems. The office staff has always been warm and friendly. I have been seeing Dr. Epstein for the past three years for various aging skin lesions. She is very thorough, and spends much time with a magnifier going over all parts of my body. Dr. Epstein has used cold cautery on minor lesions, and biopsied more questionable ones. Her diagnostic skills are top notch attested to the positive path reports on lesions removed. She is caring, compassionate and very patient friendly. I like her informal style. I can recommend her without qualification. 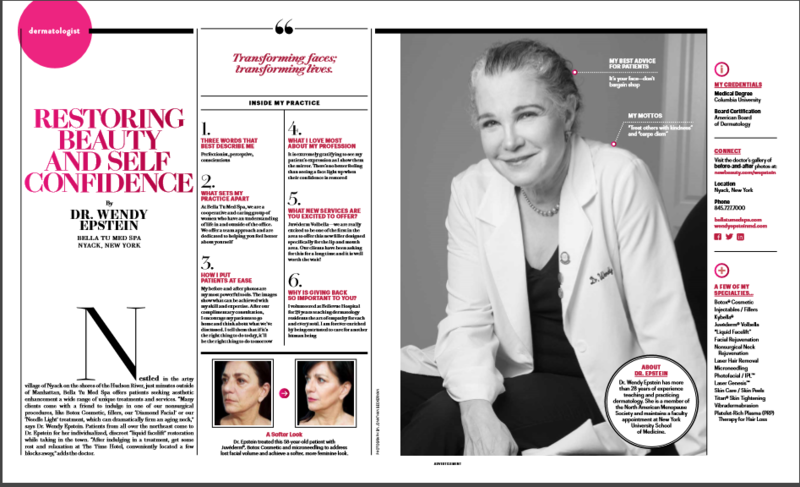 I now Dr. Epstein for years, because I am her patient with my skin problems. I new already she is the best. But recently I visited her because with aging my face changed a lot and I did not like to look in the mirror anymore.She recommended different things for me, and after a few visits my face looks at least 15 years younger and I feel great about my look.She now what you need and where you needed! She is very generous with her time and she treats not like your face she teats your soul as well.She is a great person and radiant a positive and kind attitude! Thank you very much!S.B. Dr. Epstein is truly amazing. She used something i had never heard of for under eye volume loss. Yes the Belotero is an amazing product but her excellence in injecting is I believe the real secret. The results are perfect and look completely natural. I couldn’t be happier. Thank you so much Dr. Epstein! I found Dr. Epstein as a dermatologist first. When i began to seek treatment for some cosmetic issues I naturally turned to her first. I have never looked back, she is absolutely amazing in every way. She is not only a great doctor but an aesthetician with an artists eye. I cannot recommend her highly enough. I cannot believe the exquisteness of her work…and i’m talking about my face. Thank you Dr. Esptein for your excellent craft. I am totally sincere when i say she is the best. A million thanks for your great kindness to me. I truly appreciate your caring and thorough intake and the complete follow-up care. I would be happy to recommend your kind services to my friends should they have need of your services. I would also like to compliment you on your lovely office staff, they truly were very kind and accommodating. done removing the many dozen dark brown spots (seborrheic keratoses)on my back. I have been living with them for so long and thought they were there permanently. I never would have thoughtthat a quick and easy office procedure could offer such wonderful results! I am virtually spot free and can now wear the opened back dress that has been hanging in my closet for years. I can’t thank you enough for this amazing result. You are truly incredible!! I would recommend this procedure to anyone with unwanted brown spots. As time moved on, I was unhappy with the narrowing of my facial features was beginning to see a gaunt woman staring back at me in the mirror. I was hesitant to begin corrective procedures but after a comfortable consultation with Dr. Epstein about Restylane, she changed all that in only one session. I am now very pleased with the woman in the mirror. Dr. Epstein, you are a true artist. I was in your office for a body check recently. I just wanted to thank you for making me comfortable and at ease. I was also impressed with how thorough your questions were and how knowledgeable you are on so many topics. You gave me a lot of good information and I appreciate it. I have told many friends about the favorable experience in your office. Just want to let you know how pleased I am with my appearance since my appointment with you. I have had numerous comments on how great I look. My confidence and self-esteem have been greatly heightened. Dr. Epstein is a genuine professional, I walked in with cosmetic issues, but she first took the time to know my medical history and address some of my health issues first. I trust her trained eye and skilled hands to improve the contour of my face. I was left with results that were subtle and natural. She always is concerned of my mental, emotional and physical well being. In addition, Dr. Epstein takes interest my personal satisfaction and sensitive to the financial aspect too. Before I saw Dr. Epstein, my friends thought I looked tired. Now, people say that I look great. The entire staff is accommodating and friendly. Dr. Epstein is an excellent physician in every way. She is the ultimate professional, very thorough yet takes the time and effort to put you at ease and to make sure that you understand each part of the examination process. I have gone to her for both medical and cosmetic procedures. Each time I see her, I know exactly what will happen and why she is doing a particular procedure. Very few doctors these days bother to take the time with their patients that Dr. Epstein insists upon as part of her treatment plan. She is very respectful of her patients’ feelings and privacy. She is an outgoing, warm, friendly and loving person that truly cares about each and every patient. I recommend her to all as an excellent Dermatologist and overall physician. Dr. Epstein is simply the best doctor that I have ever been to and that includes my general medical doctor and gynecologist! She did a thorough skin exam using magnification and a special light on each of my moles. I was referred to her by my mother’s friend because she saved her life by finding a melanoma during her skin exam. This doctor is unusual. Also she volunteers to teach dermatology to other doctors. I received a comprehensive full skin exam. Necessary biopsies were performed which required further treatment. Other dermatologists overlooked the lesions which required treatment. Caring and respectful. She saw things others overlooked that could have been a real problem for me. Also, she is great on cosmetic work. Takes time, talks you through everything. Very thorough examinations,and a pleasant and helpful Doctor,takes real interest in helping me understand what she is doing and why,answers questions and takes time with me.Found a melonoma probably saved my life.She is a wonderful human being. All heart. Dr. Epstein is one of the few doctors with whom I have been involved who goes above and beyond the call of duty. She saw something on my body that was of concern. She immediately arranged for me to see a surgeon and called several times to see if I was okay. She is thorough, professional, an excellent diagnostician and an exceptional human being. She has done several cosmetic procedures all of which have resulted in excellent and natural results. Without reservation, I recommend her wholeheartedly. She is a rare gem. Last year I had a skin check and found I needed a biopsy for an area on my back. Dr. Epstein took care of this wonderfully. I also had Radiesse injections that went fantastically well. I’m returning again this year to see if I need another Radiesse treatment. Dr. Epstein is caring and compassionate. She spends plenty of time with you, and takes an interest in the whole family. She is a wonderful person, and a first-rate doctor.